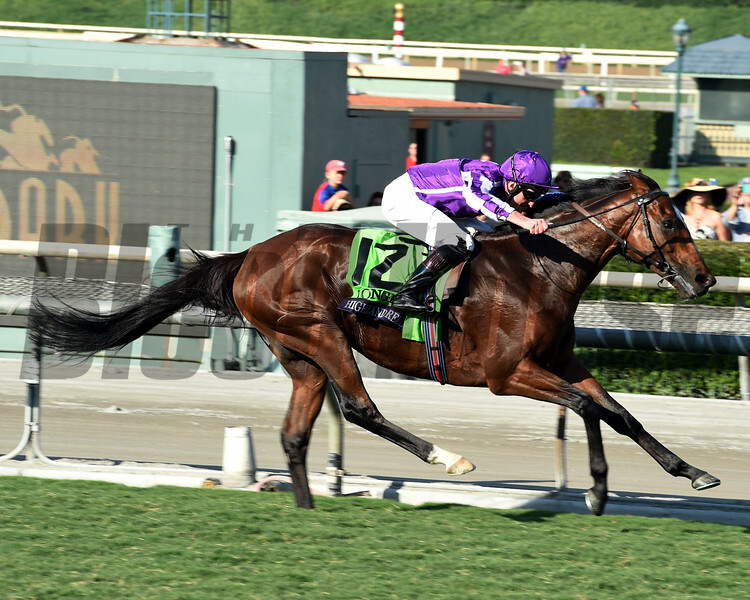 Highland Reel, with Seamus Heffernan up, wins the Longines Turf (gr. I) at Santa Anita on Nov. 5, 2016, in Arcadia, California. Highland ReelSeamus HeffernanLongines TurfSanta AnitaNovember 52016ArcadiaCalifornia.